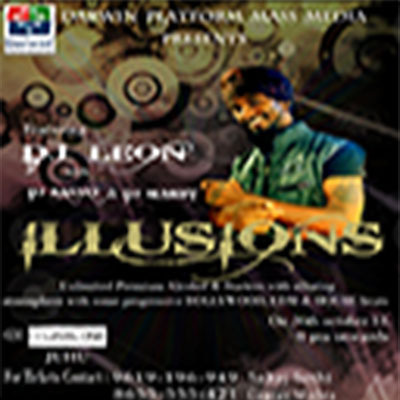 ILLUSIONS featuring dj Leon, dj Sanjay and dj Sumeet with some progressive BOLLYWOOD, EDM and HOUSE beats on this 26th of October (Level-1 lounge, Near J.W. Marriot, Juhu, Mumbai, Maharashtra, India). 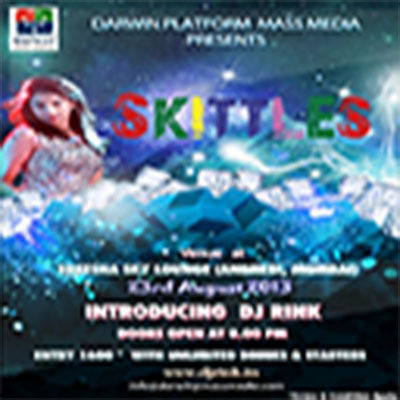 SKITTLES featuring dj Rink,EDM and HOUSE beats on this 23th of August @ Sheesha Sky Lounge, Andheri, Mumbai, Maharashtra, India). Copyright © Darwin Platform Mass Media.Ltd.